Putting heart into every project isn’t hard for our dedicated exterior painters. 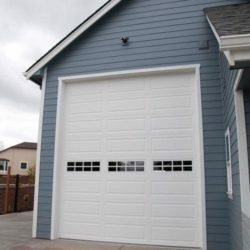 As a division of Star Builders LLC, Star Painting LLC has an award-winning reputation to uphold. That’s why we work hard to continue to deliver exterior and interior painting services that go above and beyond. From new construction to repainting the exteriors of older homes, our teams handle every project like it’s our only project. That means giving our full attention to each client’s needs. When it comes to outdoor painting, methods matters as much as taking care of our customers. Details matter. From the very first conversation to the final walk-through. Our process is efficient. And we’re transparent about what goes into it. It’s not just about changing the color of a house and moving on. Our broad perspective stays clearly in focus from beginning to end. That means getting the details right up front, adhering to strict schedules, and double checking our work before leaving at the end of the day. And just as the paint colors need to be just right, so do our processes. We partner with you if you need perfectly-matched tones, specific paint formulas, accents, or help finding areas that need sanding or repair work beforehand. 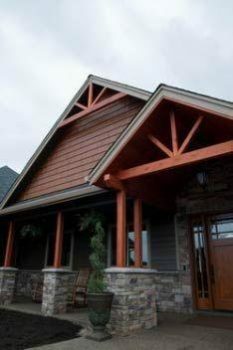 Painting the outside of a house is something homeowners rarely do more than once in the lifetime of their home. It’s our job to make that ‘once in a lifetime’ experience a positive one. How Do You Visualize Your Newly Painted Exterior? Our showroom, The Tile Gallery, allows our clients to browse paint samples and inspiration pictures, helping them visualize the final product. Design services including a 3-D rendering of your home are available as well. No matter what stage your in, we’re happy to help you start from scratch or even take designs, drawings, or samples to pick up where your designer may have left off. Preparation is essential to avoiding additional costs and lost time. Star Painting helps you plan and prepare to ensure the project goes as smoothly as possible. Be happy with the results and the experience of your next exterior painting project. 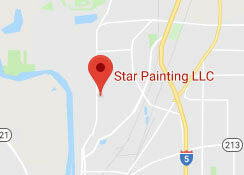 Call Star Painting in Keizer, Oregon.